A well made quilt gives us the feeling of home and the older the quilt becomes the more precious it is. 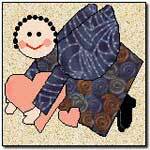 Quilts have so many uses. They can make great wall art, a warm winter throw, attractive bedding or look great in a baby's crib. Make unique wall hangings, holiday themed blocks and more. 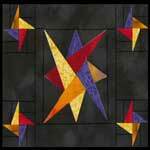 No matter what your skill level, you are sure to find a quilt pattern that's right for you. This a 4.5" block finished (5.0" unfinished). 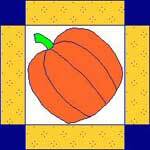 Make 6 for this quilt using Halloween colors. More quilt patterns than we have room to mention. Surely you can find what you are looking for here. 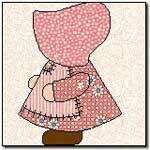 This quilt was made of Sunbonnet Sues heading in two directions, so make sure to reverse your cutting and appliquéing if you chose to do them this way! You can really have fun with this pattern, dress Sue for the seasons, or add charms, flowers...you name it. Cute quilt made with novelty fabric. This one is nearly all hand appliqué, although you can choose your own favorite method to adhere the pieces to the background. 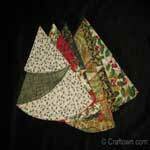 Birds only - 9 different bird and birdhouse quilts and blocks. 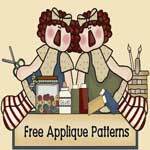 Over a hundred free patterns for Christmas blocks, wallhangings, quilts, quilted angels. 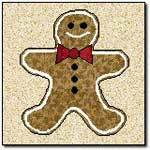 Instructions for both a gingerbread man wallhanging and a gingerbread block in the middle. 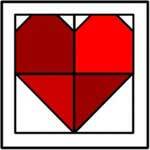 Over 25 different quilts on this site. 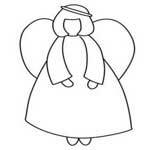 This is an angel to applique along with 4 foundation pieced log cabin blocks. 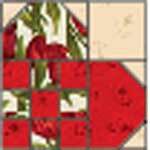 Learn some new quilt blocks and techniques while making this placemat. Make it uniquely your own through your choice of fabrics. 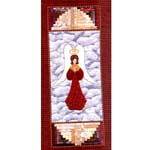 Here's where all the angel quilt patterns on the web live. 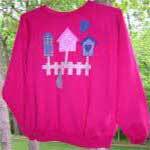 These applique patterns were developed to be used on shirts, quilts, vests or sweatshirts. This makes a 12" block. A 1900 block. 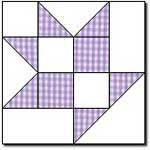 It's great for baby but also a nice block for other quilts.